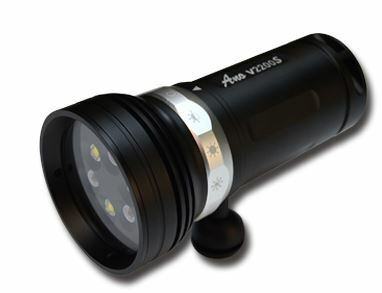 Underwater LED Torch (860 lumens) - suits night diving and as a photography Focus Light or Video Light (macro subjects). Sturdy quality manufactured from aluminium. Twin'O' Ring sealed and comes complete with a Panasonic 18650 lithium re-chargeable battery. Burn time of up to 5 hours! 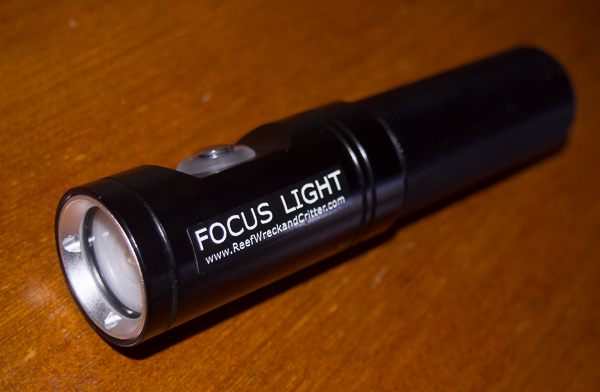 Light has three power levels (25%, 50%, 100%) and an emergency SOS code flasher. Extremely wide 110 degree beam & Waterproof to a maximum of 100 meters. Can be ordered with a charger or without. Contact us for pricing without battery. 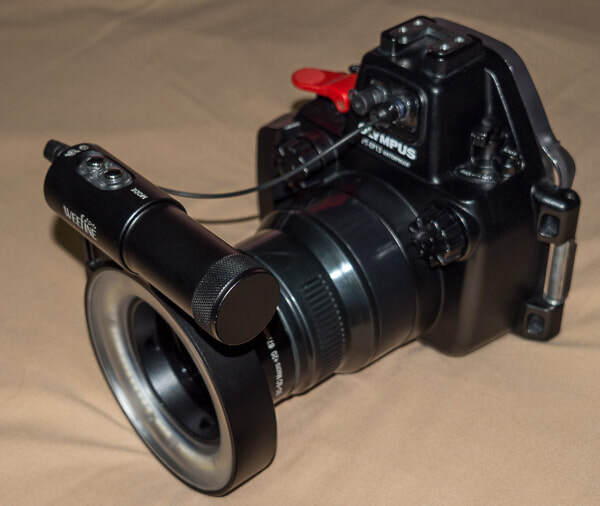 We also have mounts to suit most camera housings for this light (see below). Underwater LED Video and Focus Light (1800 lumens) - a brighter light for shooting video or as a still photography focus light. Also a great night diving light. Super wide 110 degree beam with no hot spots. Sturdy quality manufactured from anodised aircraft grade aluminium. Twin'O' Ring sealed and comes complete with a Panasonic 26650 lithium re-chargeable battery and smart charger. Burn time of up to 8 hours! Light has three power levels (25%, 50%, 100%). Waterproof to a maximum of 100 meters. 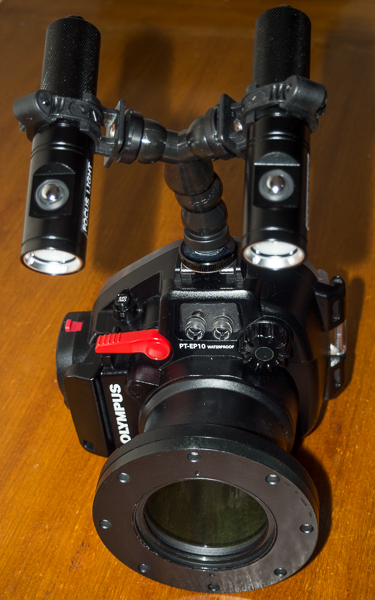 Light comes with a ball style mount and a YS mount, as well as a wrist lanyard and spare O rings. ​Flexible Torch Mounts. 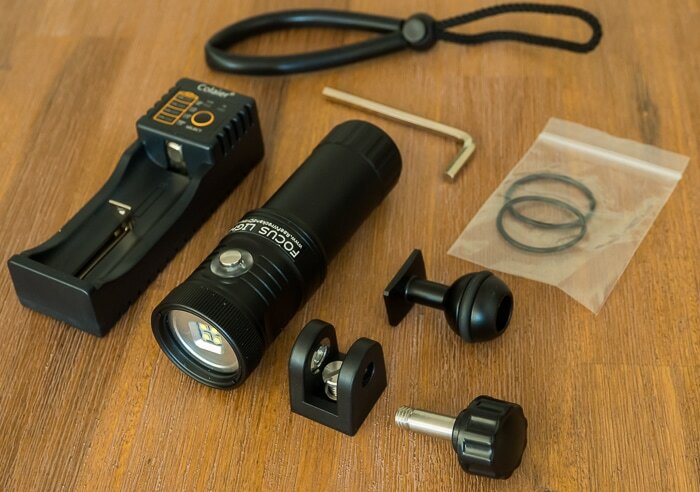 For attaching our LED-T1 Torch (see above) and many other small Torches & Focus Lights via the "Cold Shoe" found on the top of most Compact, Mirrorless & DSLR housings. These Torch Mounts have an adjustable clamp to suit various diameter Torches & Focus Lights between 22-47mm diameter (Approx 1" - 2"). Arm is made from flexible 1/2" Locline allowing universal movement. 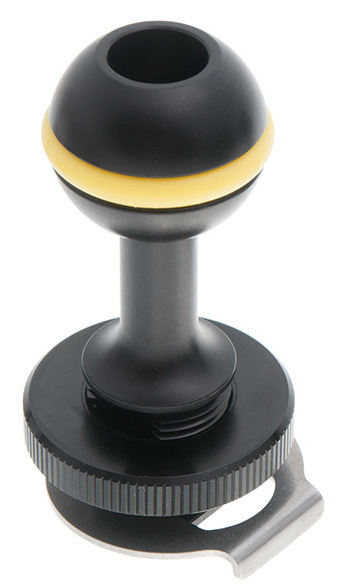 Cold Shoe Mount has a locking tab mechanism, so the mount cannot come loose and fall off. Single Light Mount for LED-T1 Torch - for attaching one LED-T1 torch to a "Cold Shoe"
Twin Light Mount - for attaching two LED-T1 Torches (for video applications) to a "Cold Shoe"
This ring light/flash can be attached to most underwater housings that have 67mm threaded front port or adapter. The strobe function is triggered by a fiber optic cable from the housing, or use the steady light with no connection. 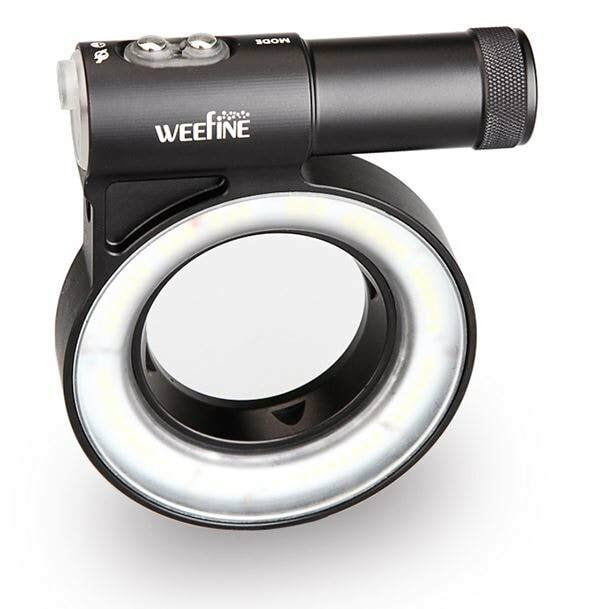 The 3000 Lumen Weefine Light has three coloured lights built-in: Blue, Red & White. This light gives amazing textures to photographs and is very compact when fitted to the housing. It can be used with or without a macro wet lens. ​Mount for YS style Torches, Focus & Video Lights & Strobes - for attaching to cold shoe mounts on the top of many compact and DSLR housings. 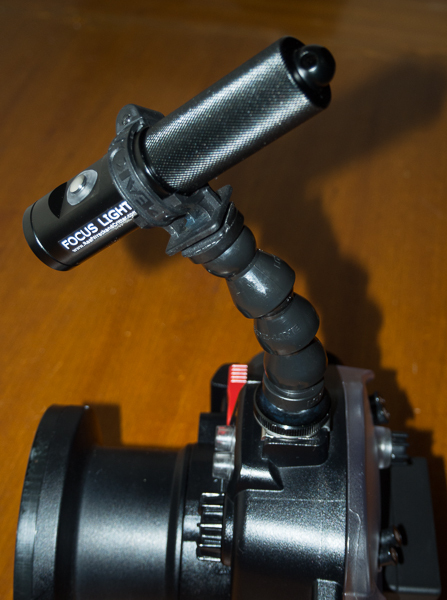 Can be used for a torch, focus light or strobe with Sea & Sea YS style mount. With locking tab to stop lights from falling off! 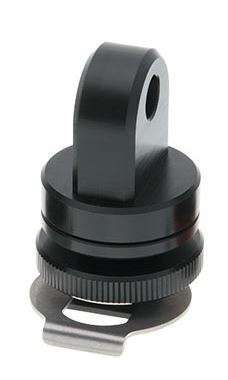 Mount for Ball Style Torches & Focus / Video Lights - for attaching to cold shoe mounts on the top of many compact, Mirrorless and DSLR Camera Housings. 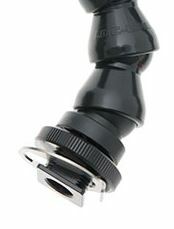 Can be used for a torch, focus light or strobe with ball mount. With locking tab to stop lights from falling off!